Reignite your passion for photography with this thrilling blend of classic and modern. 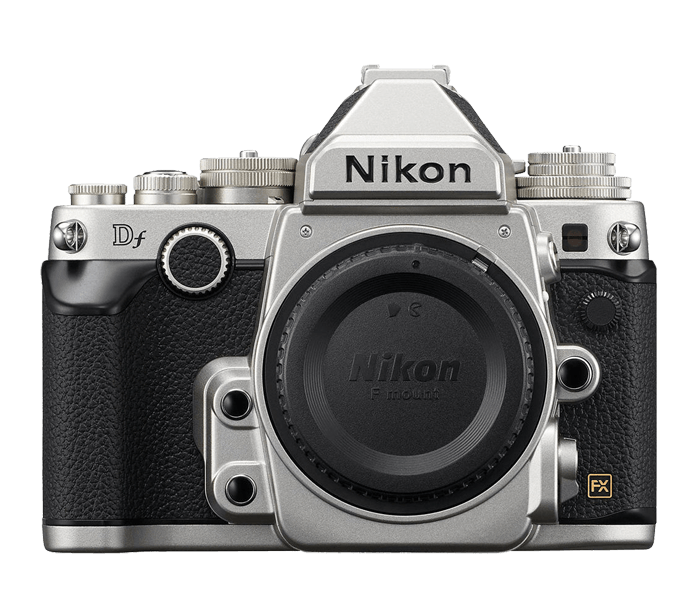 On the outside, it's classic Nikon—our thinnest, lightest FX-format body with an elegant mechanical operation system inspired by the legendary F, F3 and FM/FE series film cameras. On the inside, it's flagship Nikon D-SLR—the advanced 16.2-MP FX-format image sensor and EXPEED 3 processing engine from the D4, our ultra-fast 39-point AF system, an ultra-high resolution LCD display and even Wi-Fi® photo sharing (with optional adapter). Embrace a more personal shooting style that results in some of your most inspiring photos yet.